It’s only been a little over one week since I arrived in Paris, yet I feel like I have seen and done so much! 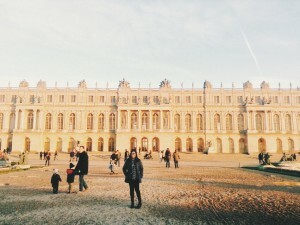 Last Saturday, some of the other students and I planned a day trip to visit Versailles. We all met up at one of the metro stops and from there, took a train that had a scenic route of the suburbs of Paris. It was freezing outside, but I was just happy the sun was out! It only took about 45 minutes to get from Paris to Versailles, and when we got off the train it was only a five minute walk. Before I go into our visit, I have to tell you about my very first McDonald’s experience in France! 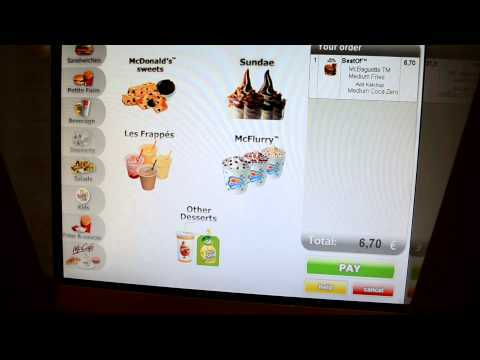 Because this “Macdo” (what French people call McDonald’s) was a busier one, you could order your food on one of the many touch screen machines and pick up your order up front. Naturally, being in France, there are special menu items you can’t get anywhere else like macarons and croissants with jam. I just ended up ordering fries and chicken nuggets and THEY WERE SO GOOD. Seriously, so much better than McDonald’s in the States, just saying! Touch screen machine where you can order your food! Anyway, back to Versailles, it is HUGE. It is so huge that you cannot possibly see every single apartment/room in one day! There are over 700 rooms in Versailles as well as the Gardens of Versailles. I was worried about the crowds, but during the winter there aren’t too many people visiting. However, when spring rolls around in March and the gardens are in full bloom, it will be packed! 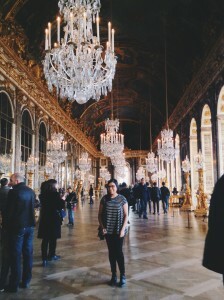 Regardless, I was most excited to see one room in Versailles: La Galerie des Glaces (Hall of Mirrors). It’s not hard to see why this is one of the most famous rooms in Versailles! 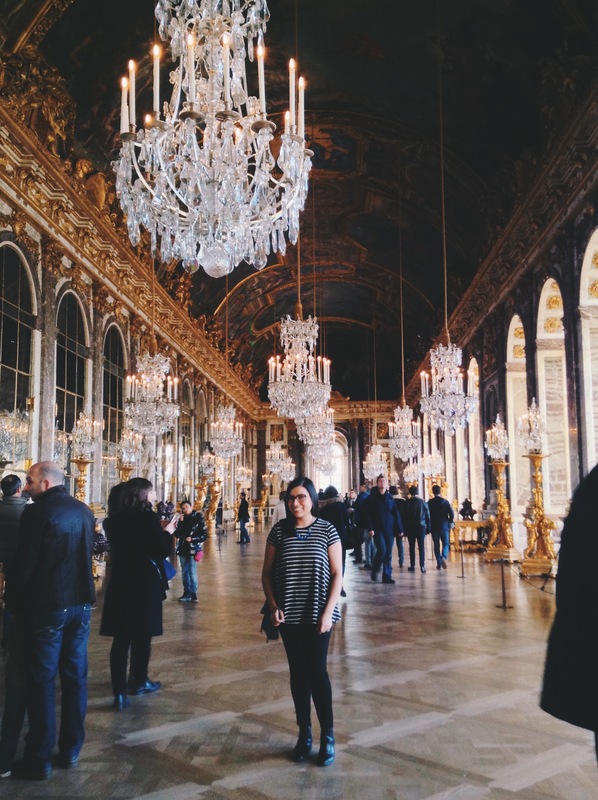 It is known that King Louis XIV would walk from his room through the Hall of Mirrors daily, where he would be greeted by those eager to receive an invitation to a ball or dinner. What makes this room even more beautiful besides the chandeliers and its detailed ceiling is that its many arched windows allow the natural light to come in. I’m sure it looks even prettier at night! Unfortunately, this time of year isn’t a good time to visit the gardens, as they are not in full bloom. I heard that’s the best part about Versailles, so I am already planning on coming back in the spring! Tried to get the whole view, but it was just too big! Thanks so much for reading! Keep up with my adventures while studying abroad on Twitter: @HopeMarisela16 or send me an email at marisela.meraz@hope.edu. P.S. Study abroad applications for Fall 2015 are due February 1st! Go here for more information!